And the 2016 haul keeps on coming. 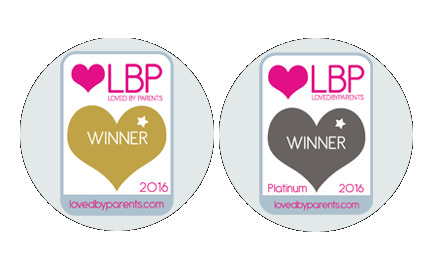 The Baby K’tan Wrap Carrier was award the Platinum Award for Best Babysling and the Gold Award for Best Baby Wrap in the 2016 Loved By Parents poll. To sum up, these are just some of the awards won so far – note the 2016 additions, including an interesting one on space saving products. With Baby K’tans small size and light weight, it was a shoo-in for the Best Space Saving Carrier 2016. Babylist asked thousands of parents for their favorite baby product and chose the 50 best of 2016, including the Baby K’tan Baby Carrier! Baby K’tan BREEZE selected Best Baby Carrier in the 2016 Best of Baby TTPM Awards. 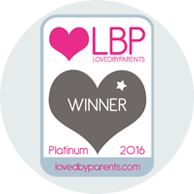 Baby K’tan received the Platinum Award in the Best Babysling category 2016 Loved By Parents Awards. 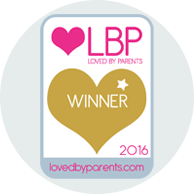 Baby K’tan received the Gold Award in the Best Baby Wrap category 2016 Loved By Parents 2016. Baby K’tan shortlisted for Best Baby & Toddler Gear Awards 2016 (Best Baby Carrier Category) in the UK. Baby K’tan voted best Space Saving carrier in the 2016 Moms’ Pick Awards. Baby K’tan voted in the top 5 Best Baby Carriers by 8,ooo BabyList Parents. Baby K’tan Active Carrier voted #1 in the Best for Baby Awards by The Bump. Sling Category 2nd place. Baby & Children Product News, Reader’s Choice. Top Mom Picks: Manila’s best mom-approved products. Baby K’tan was voted a Babble Blogger Favorite, Best Baby Carrier. See the complete list. Voted 1st place in 2013 She Knows Parenting Awards baby wrap category. Baby K’tan voted a winner in the 2013 About.com Readers’ Choice Awards. The Baby K’tan Baby Carrier made the Stroller Traffic New Baby Checklist for Must Have Carriers. Chosen as a Best of Baby product award winner by the editors of TheBump.com! Voted 3rd place in 2012 She Knows Parenting Awards baby wrap category. Michal Chesal, President of Baby K’tan, selected as one of Skinny Scoop’s Top 25 Mompreneurs, 2012. Baby K’tan selected as one of Babble’s Best Baby Shower Gifts of 2012. Baby K’tan voted one of the Top Ten finalists in the 2011 Red Tricycle Totally Awesome Awards. Certified Miracle Seal of Approval. A program which tests baby and toddler products with an extensive network of parents, medical professionals and product experts. Baby K’tan was featured in Organic Baby Resource’s Shopping Guide as a Recommended Product. Baby K’tan was selected by Babble.com as the Best Baby Carrier for Newborns – Babble Best 2011. Baby K’tan was chosen as one of the top Reader’s choice Baby Carriers in Baby and Children Product News Magazine in 2011. Baby K’tan is the winner in the Next Big Zing Kids Category. Baby K’tan was chosen as one of the top Reader’s choice Baby Carriers in Baby and Children Product News Magazine in 2010. Michal Chesal, President of Baby K’tan, selected as one of the Leading Moms in Business by Startup Nation. Baby K’tan received the 2008 Mr.Dad Seal of approval. Baby K’tan awarded the 2007 Creative Child Seal of Excellence for its unique design and ease of use.